Finding A Lawyer That Can Help You Does Not Have To Be Stressful. After you are charged, you may want to get to work building your defense as quickly as possible with an expert lawyer. However, finding a lawyer may be more difficult than you imagine. There are many different law firms and attorneys out there for you to choose from. How can you tell which is right for you? At Ammediate Bail Bonds, we know how tough it can be when you are in this stressful situation. That is why we have compiled a few questions you should consider to find the best attorney for your needs. Does This Lawyer Have Experience In Your Charges? First things first: there are many lawyers available for you to choose from on the internet. However, they all could have different specialties. When looking for a lawyer, you want someone who is familiar and comfortable with defending you on your particular charges. Be thorough in your research of your potential lawyer and try to identify their specialties. If a lawyer’s information online seems to general, call and ask them for a consultation. We live in an age where you can read about many peoples experiences to help you make decisions on anything from restaurants to possible legal services. These can include reviews and testimonials on possible attorneys. Read through the reviews of your short-list of lawyers. You can gather a lot of information based on others experiences and ascertain how these lawyers may work for you. This can help you reduce the list to key potential lawyers. The final step for you should be to meet for a consultation. Many lawyers will offer these for free to low cost to speak with you about your case. During this time, ask vital questions about costs and your case. You can also take note of how you communicate and interact with this attorney. Remember, you will be working together to resolve your legal situation, so it is important to be sure you can communicate well. Need bail bonds services in Cocoa, FL? 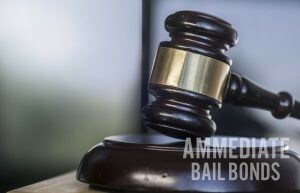 Ammediate Bail Bonds provides you with the bail you need to get your freedom back. Call us today at (321) 631-2663! Posted in Uncategorized on May 18, 2018 at 9:10 pm by Ammediate Bail Bonds.